We’ve worked with a broad spectrum of clientele from advertising agencies and small start ups to large companies. We have shipped our custom packaging products to every state in the US and many countries around the world. We are a team of experts in custom promotional and presentation packaging. We are leaders in our industry on lead time (fast turn around), quality, design, and manufacturing. We have no minimums, and we can handle large orders no matter the quantity. We have expanded our capacity in the past to accommodate projects and clients needs. At CPS all materials used to create our products come from 100% recycled materials. We also use water-based inks which are environmentally friendly. If you’re looking for the perfect box or carton packaging to promote your product than look no further. Experience has taught us that the right sense of presentation and performance makes all the difference. As such our custom rigid boxes are crafted with one simple goal in mind: to marry form and function. 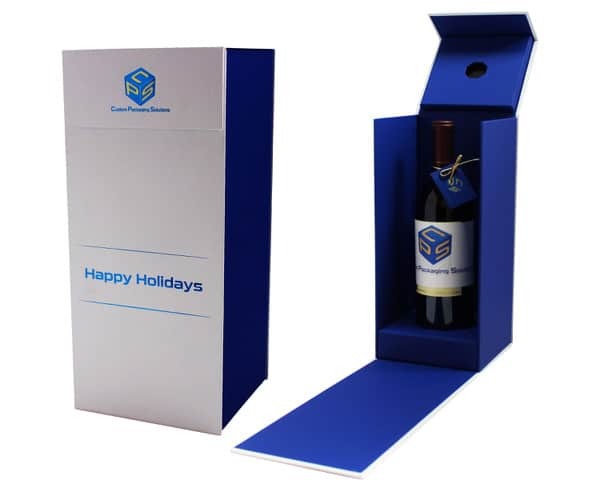 With a custom rigid box from Custom Packaging Solutions, you can expect nothing less than the absolute best. We pride ourselves on our commitment to excellence. Regardless of your needs, our designer box packaging is sure to please. Made to accommodate both you and your product, each of our rigid setup boxes is effortlessly personalized to your liking.